Instrument Panel - Solution Control Systems Inc. Instrument Panel - Solution Control Systems Inc. 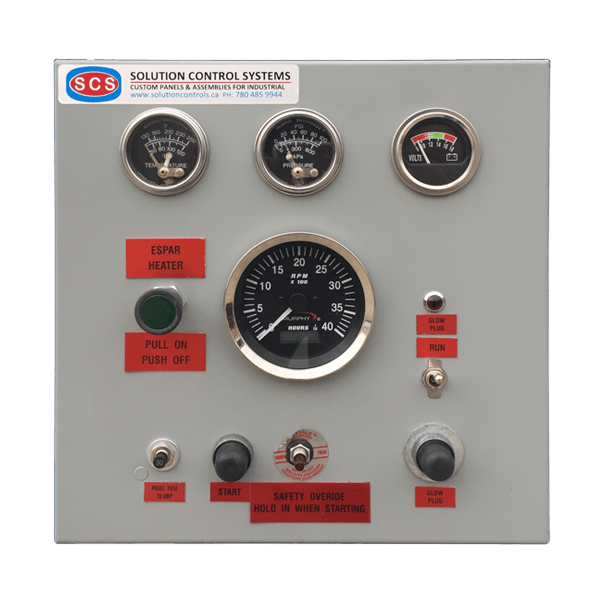 This instrument panel is combination of electric and pneumatic controls. The panel is housing pneumatic gauges, shut off valves, emergency stop operators and annunciation lights.